You'll be pleased to know that if you're searching for lingual braces, Manchester clinics such as ours offer a wide range of invisible braces Manchester. One such type is known as Secret Smile. 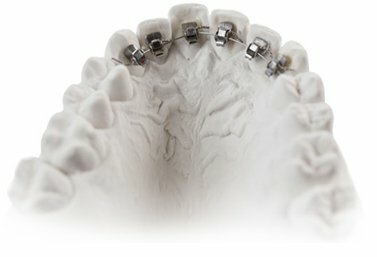 Unlike other forms of clear braces Secret Smile sits on the back of the teeth rather than the front. As a result it's a system that's so discreet nobody will even know that you're wearing it. So how does secret smile work? For many local residents, when it comes to wearing lingual or clear braces, Manchester residents prefer a product that's quick acting and one that can give them back their smile in no time at all. For this reason, Secret Smile fits the criteria perfectly. Lightweight titanium brackets are bonded onto the back of the teeth and fine wire is then threaded through. The self-litigating system allows the wire to move freely throughout the duration of the treatment without the need for any tightening. By applying continual and gentle pressure the teeth are shifted back into position easily and safely. As with many types of lingual braces in Manchester focus is primarily on the aesthetic appearance of a person's smile rather than complete orthodontic treatments such as root orientation and bite. Results therefore tend to be noticeable in as little as 6 weeks with most people seeing straighter teeth within 16 weeks. Secret Smile treatment is ideal for those who suffer from wonky, misaligned, flared, or gapped teeth and would like to improve the overall look of their smile. For this reason lingual braces in Manchester such as Secret Smile really are the perfect solution. If you'd like to find out more about invisible braces Manchester or indeed any form of clear braces Manchester then come and speak to Church Road Dental and Cosmetics. Our skilled team can help you find the perfect orthodontic treatment to suit your needs. 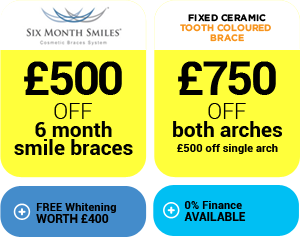 To book your appointment visit our website at www.cheadlehulmedental.com or contact us directly on 0161 486 0743 and start the ball rolling towards obtaining that perfect healthy smile. Learn how to avoid dental disease and keep your teeth for life !